Although we use the term author on a daily basis to refer to certain individuals, bodies of work, and systems of ideas, as Michel Foucault and other critics have pointed out, attempting to answer the question "What is an Author?" is by no means a simple proposition. 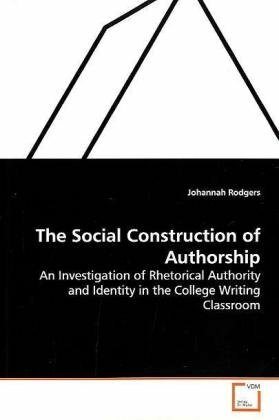 And, starting from the position that there is no single, or definitive answer to this complex question, this book seeks to contribute to the ongoing discussion of the genealogy of authorship by investigating the ways in which conceptions of the author have informed models of the writing subject in the field of rhetoric and composition and the ways in which composition students define and relate to these models.